The BetterFly software is free of charge. Payment is on a per-session basis. The service includes data backup, data management and data analysis via cloud technology. Newer versions are provided to our customers in real time with no additional charge. Our service includes free 3 hour tutorial and online assistance. If you already have a U-Wiz device, a BrainMaster 2EB+ device or a PendantEEG device, you can purchase just the sessions themselves (100 sessions for $635). If you don’t have any of the above mentioned devices, we suggest that you buy a U-WIZ device (1 unit for $760, plus delivery. If you purchase both sessions and U-Wiz device, the package is $1370, plus delivery). U-Wiz is a reliable low-cost encoder that is suitable for both work at the clinic and at home. 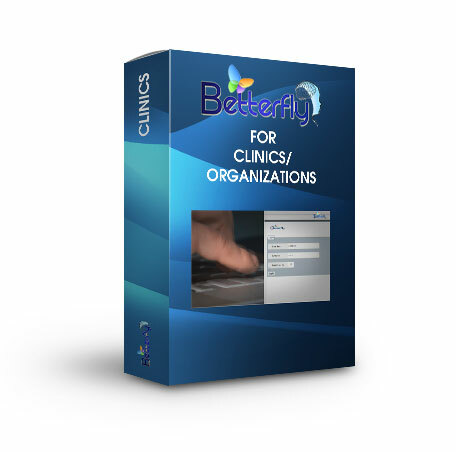 The Betterfly system, through its unique organizational concept, allows for a professional treatment (both at the clinic or at the patient’s home) in reasonable costs, both for the clinicians and for their patients.